The Myrtle Beach real estate market has many condos to choose from. Potential buyers rely on a Myrtle Beach realtor to give them information as to what is the best purchase. Of course, many people buy condos in Myrtle Beach for the emotional experience. Professionaly, I find it hard to describe an experience that you have never had yourself. How can you tell someone a condo complex is great if you have never stayed there yourself? 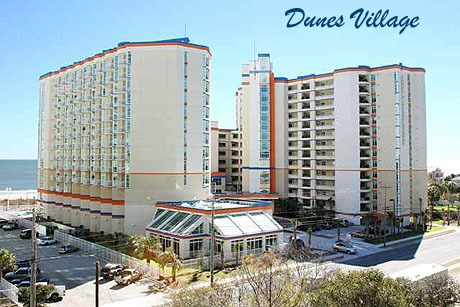 Recently, I have visited the Dunes Village Resort, Paradise Resort, Bayview Resort, Anderson Ocean Club, Myrtlewood Villas, Marina Inn at the Grande Dunes, and a few other popular Myrtle Beach condos. In each case, I took my entire family in order to get a better understanding of how these buildings really are. I have experienced the cleanliness, service, amenities, and many other aspects of these resorts that I would have never known without staying there myself. As a real estate agent in Myrtle Beach, I am committed to helping my clients. When I represent a seller, I am better able to explain the benefits of the property which will come in handy when I am attempting to create value in the eyes of the buyer. When I am representing a buyer, I can better explain the contrast between buildings to help them narrow down their search to the condos that will give them the best experience. By the way, my recent stay at the Dunes Village Resort Myrtle Beach almost cost me a lot of money. My kids liked the waterpark so much that they wanted me to buy one that weekend. Purchasing a Myrtle Beach condo for sale is a big investment. So many people look at the finances and make a decision. I suggest that everyone should consider the emotional side just as much. In the end, it will be the pictures, the family memories, and the fun in sun that will matter. Let's not forget why we are buying real estate in Myrtle Beach in the first place. As the owner of Century 21 The Harrelson Group, I urge each of my agents to experience the properties they sell. This is another way that we demonstrate our commitment to serve the consumer. We are also making videos for You Tube at every opportunity. My next stop will be the Island Vista Resort or the Oceans One Resort in Myrtle Beach. I will let you know how it goes.